Remember the amazing floating mirror cube? 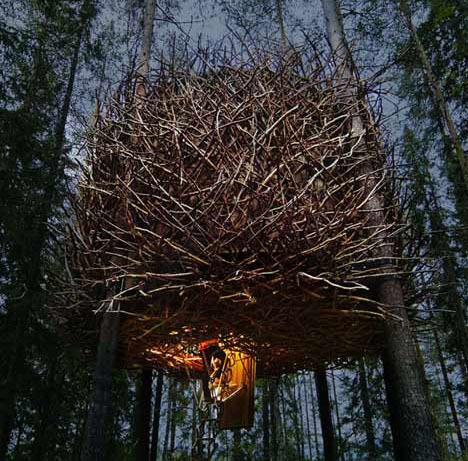 This is the latest in that same collection, but talk about blending in – it looks like a giant bird nest, complete with a retractable staircase for privacy, security and visual completeness. 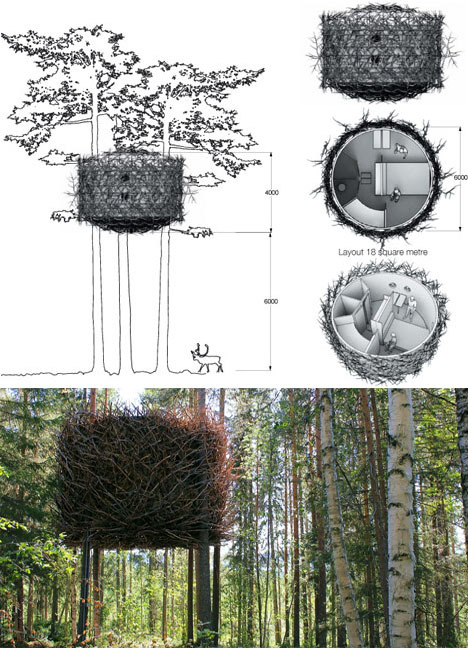 Inrednin Gsgruppen used a series of existing trees to support this new cylindrical structure. A healthy helping of fallen forest branches clouds the shape, though, making it appear amorphous and organic. 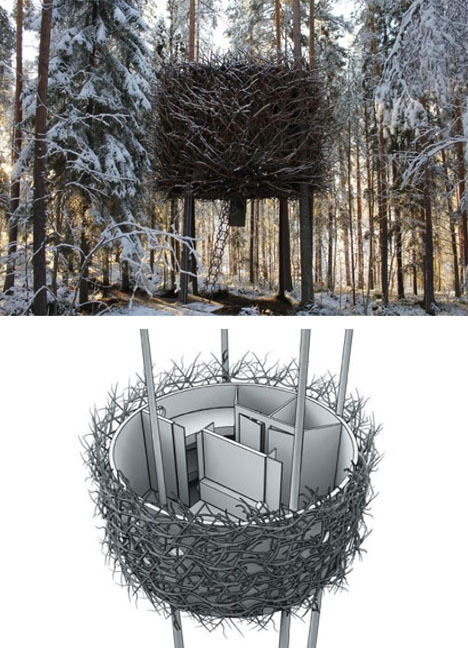 The sides are pierced with nearly-invisible portholes that allow views out but are obscured by the branch cover to anyone looking up from below (unlike the similarly-named Nest Rest). 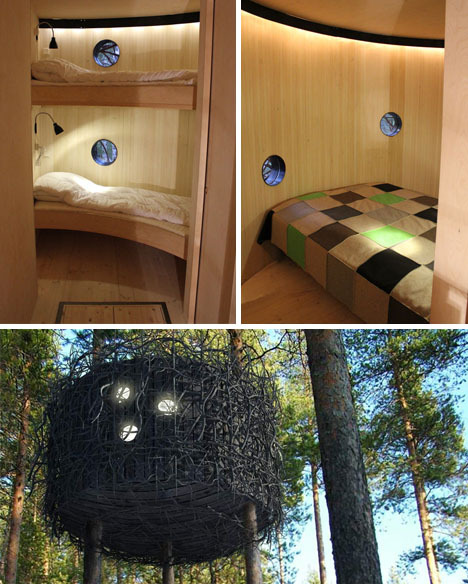 So far, so good – the Tree Hotel has 5 rooms and counting … but the best is yet to come: they have another twenty planned for the coming years, so stay tuned.